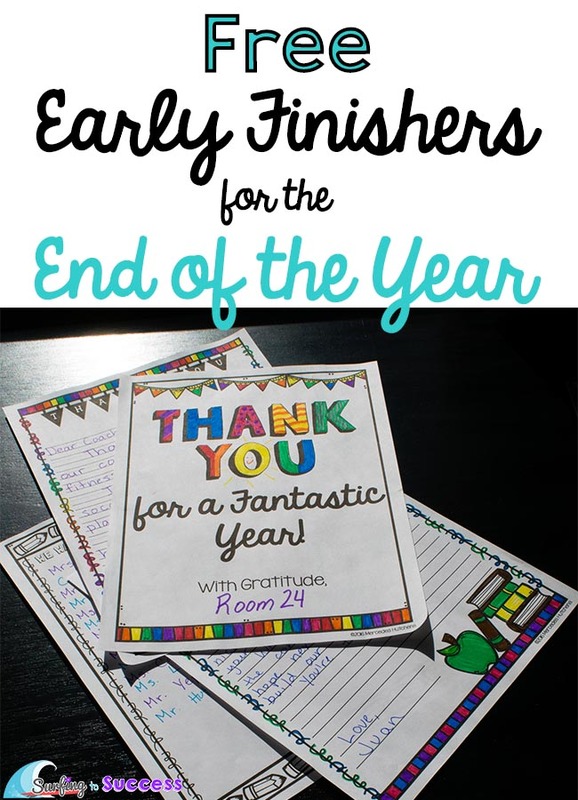 As the end of the year approaches are your early finishers getting into mischief? 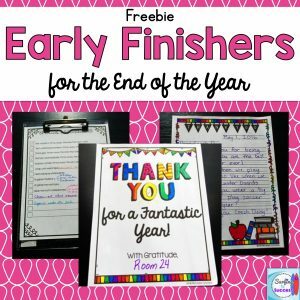 Here are a couple of simple ideas to focus students on early finisher activities that will keep your classroom running smoothly at the end of the year. 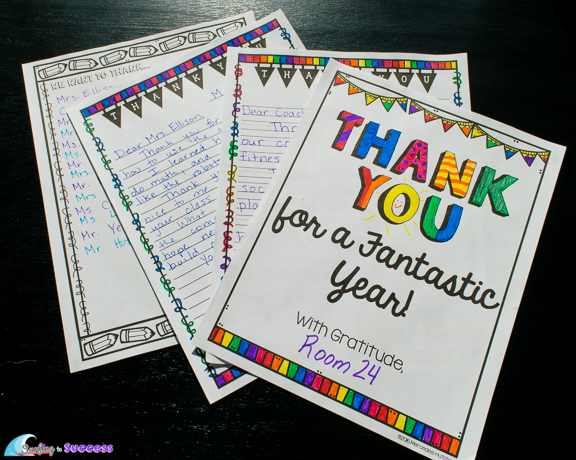 Teaching gratitude helps students learn an important life skill. 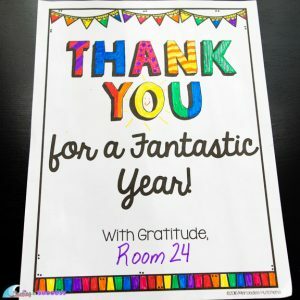 In the last month of school, create a list with your students of everyone that has helped your class this year including the people who keep your school running. Every time I do this activity, I’m amazed at who the students think of. Some people may include the principal, vice principal, school secretaries, custodians, librarians, specialists, parent volunteers, tutors, instructional assistants, and bus drivers. Once you have this list, post it somewhere in the classroom leaving room for additional names. Early finishers can work on thanking the people on the list. There are many options of this. Just pick the one that fits your kiddos best. 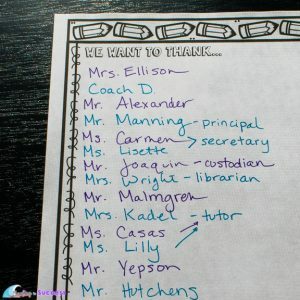 A student could write a thank you letter from the class and then check that person off the list. 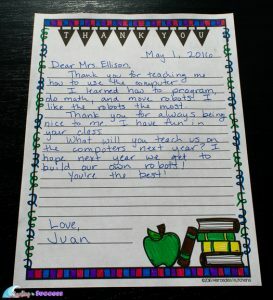 Each student could write a letter or draw a picture for that person that you make into a book. You can even turn it into an art project. One art option is to die cut letters or print the person’s name in block letters. Let early finishers cover the letters in paper or tissue squares. The first graders that made this for our school secretary are probably in high school by now. Another option is to make a poster. Some students can create the heading for the poster and everyone can create something for it and glue it on. An example would be a poster that says “Thanks a bunch!” and each child makes a flower to add to a bouquet. Several years ago, my first graders made a fun poster for our principal who loves Indiana Jones. The heading said, “Thanks for being our fearless leader!” I made a background that had Indy hanging from the ceiling and the kids each made a snake. I wish I was taking pictures of projects back then! The end of the year is a busy time for teachers. (Like I have to tell you that!) With a little forethought and a class meeting to spell out expectations, your early finishers can help alleviate some of that stress work. Go through markers, test them, throw out ones that no longer work. Go through glue bin. Discard any dried up glue. Wrap washi tape around class scissors, pencils, markers, etc. Test white board markers, discard dried up markers. Clean individual white boards with white board cleaner. Go through each bin / shelf in the library. Put books in their proper place. Go through bins of math manipulatives. Organize. Organize a drawer or cabinet. Hole punch drawings and letters to the teacher and put them in a binder. Take things off the wall and put into a container. Wipe down surfaces that are forgotten. Once you have a list, call it “Special Assignments” and keep it on a clipboard. An early finisher can request a special assignment from you. This way, you can assign a job that matches their ability / focus level. Remember, you want to be careful not to start special assignments too soon. You may want to call them Spring Cleaning rather than End of Year special assignments. Students start to get anxiety around the end of the year and connecting these tasks to the fact that they are leaving could trigger unwanted behavior. We are, after all, trying to make your job easier, not harder. Are you looking for more Tips and Tricks? 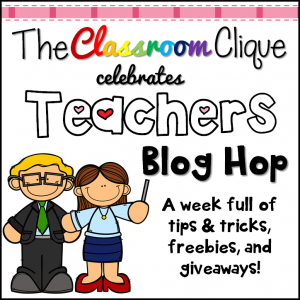 This blog hop is full of great ideas, freebies, and the opportunity to win great gift cards! Be sure to download my freebie before you hop away! If this was your first visit to Surfing to Success, welcome! I’m a Kindergarten through 6th grade Intervention teacher who loves to break skills down into challenging yet obtainable goals. I hope you’ll follow me so you’ll remember to visit again. Everything you’ll need to use these strategies is in this freebie. 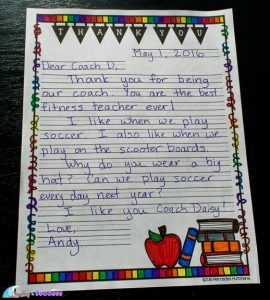 There is a letter writing page for Kinder, primary, and upper grades for the thank you letters. 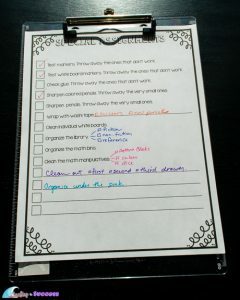 I’ve even included a special assignment check list. One check list has ideas to get you started and another is blank. If you like it, please take a moment to leave feedback. While your there, be sure to check out my other K-6 freebies! Now hop on over to Lopez Land Learners for the next word and great tips!